Complexity, texture and structure are at the heart of Escarpment winemaker Larry McKenna’s philosophy. The 2011 season was exceptionally warm, yielding high-quality fruit with luscious ripe cherry and plum flavours. A full-bodied style with great backbone and a lingering finish, this is immediately accessible but will continue to improve over the next two years. Wine of New Zealand. Contains preservatives. 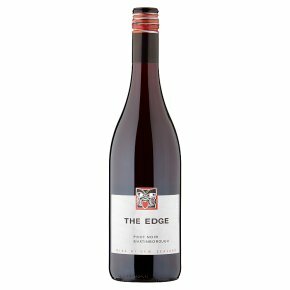 100% Martinborough Pinot Noir, grown on the alluvial gravel terraces for which the district has become famous. The season was exceptionally warm and dry allowing high quality, ripe fruit to be harvested with brilliant ripe cherry/plum flavours. A full bodied style with great backbone and a long lingering finish. An immediately accessible wine, which will improve over the next 2 years. Enjoy with full flavoured fish dishes, lamb or vegetarian dishes.